This can be a killer for your websites performance because it degrades the experience for users and gives them slower load time. More importantly, Google takes page speed into consideration and uses it as a strong ranking signal to indicate site quality. Therefore if you have this error your pagespeed is not what it could be and google will have a lesser view of your domain. The good news however is that if you are hosting on an Nginx server, there is a very simple and quick fix. All you have is make a simple change in the nginx.conf file for your site. That&apos;s it. You have now Leveraged Browser Caching of your static assets. Reload the front end to make sure everything is ok. This configuration will instruct the users browser to cache assets for seven days. If they return on day three they are served the version from cache. If they return on day eight then the browser will request the latest version. If you push a change to your assets in the mean time users will not receive the update unless they clear their browser cache, start an incognito session or you bust the cache on production. This would go underneath the existing directive. Just make sure to remove css and js from the first instance. Forcing users to download new assets every time they come to your site is bad practice. It wastes bandwidth and if they are browsing on their phones it will eat their data. You need to keep them happy so provide a more pleasant and faster user expense by Leveraging Browser Caching. Once you implement this quick fix your site will instantly be faster and the benefits of this are endless. Run it through Google page speed and you will see a score increase from before. That is the real win here as it sends a strong signal to google that you care about website quality and user experience and they will reward you with better rankings as a result. 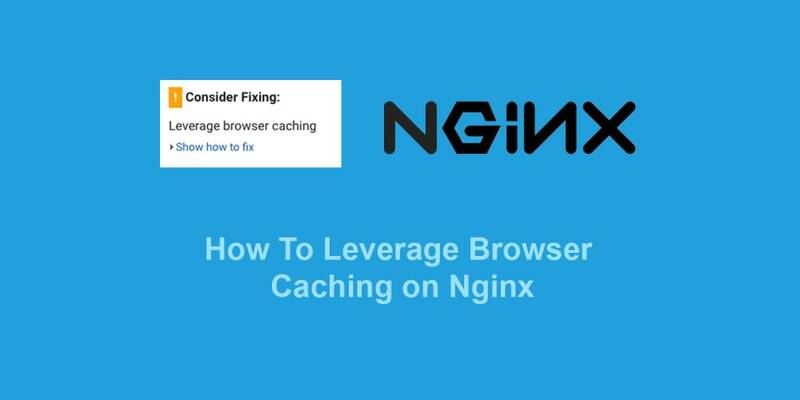 In this post you learned How To Leverage Browser Caching On Nginx which boost your website speed and search ranking. For more expert tutorials on Web Performance and Pagespeed visit the Leader Internet Blog and join our newsletter. Software Development Company In Ireland. Experts on blazing fast SaaS, Apps and Websites. PHP, Laravel and October CMS enthusiasts. Follow the Leader Leader Internet Blog for more quality tutorials.